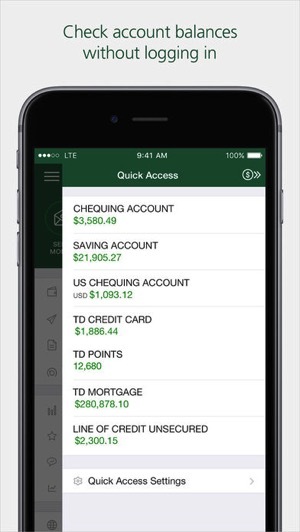 TD Canada has updated their iOS app to gain a couple new Interac e-Transfer features. Unlike RBC Mobile, the TD iOS app does not have the ability to send Interac e-Transfers with Siri yet, or have an iMessage extension for Interac e-Transfers like Scotiabank. 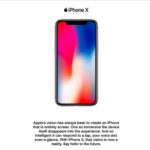 A previous update allowed users to call TD directly from the iOS app, but also securely identifying users via the app, while also enabling push alerts for real-time stock, mutual fund and ETF quotes. 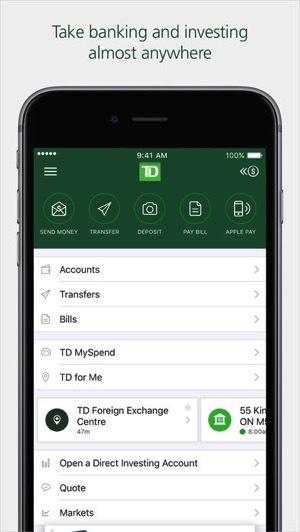 Earlier this month, TD Canada announced their mobile apps would gain artificial intelligence through a partnership with Kasisto and their KAI Banking platform. Kasisto was founded by the former creators of Siri, Apple’s virtual assistant.